Pagina do evento internacional – ISNTP-10, "International Symposium on Non-Thermal/Thermal Plasma Pollution Control Technology & Sustainable Energy". Este evento será realizado em Florianópolis de 01 – 05 de agosto de 2016. The 10th International Symposium on Non-Thermal/Thermal Plasma Pollution Control Technology and Sustainable Energy (ISNTP-10) will be held in Florianopolis, Brazil, from the 1st to 5th of August 2016. 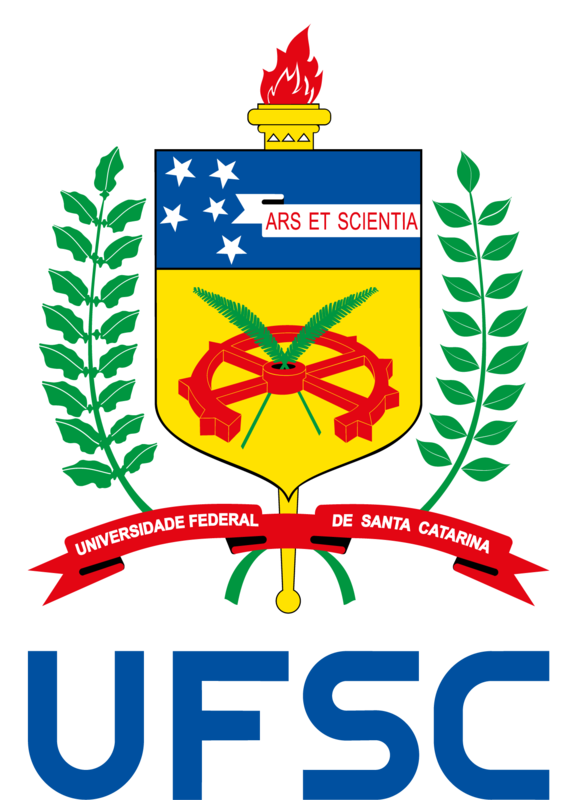 The ISNTP-10 is sponsored by the International Electrostatic Assembly and is undertaken by the Chemistry Department of the Federal University of Santa Catarina, Brazil. The ISNTP is currently a biannual conference which started in the UK in 1992. Editions were held in Brazil 1997, Korea 2001, USA 2004, France 2006, Taiwan 2008, Canada 2010, France 2012 and China 2014. Since the first edition, a wide range of environmental applications using non-thermal and thermal plasma technologies was covered: flue gas treatment, water treatment, solid and liquid waste treatments, and more recently fuel reforming and plasma assisted combustion. Emerging topics such as surface bio-decontamination and medical applications appeared in the 2004 edition in USA and Electrostatic appeared in the 2014 edition in China. Besides applications, fundamentals in discharge physics and plasma chemistry are also considered. Participants wishing to present a scientific contribution, oral or poster must submit a single-page abstract by e-mail to isntp10@contato.ufsc.br. Abstracts must be written in English following the format given in the abstract template, available below. The Advisory Board will survey the submissions and will select speakers for talks of 20 minutes and poster contributions from the submitted abstracts. Conference papers (up to 6 pages) for the conference proceedings are expected to be prepared after the abstract acceptance notification. The deadline for abstract submission is 22th February 2016. Abstract submission deadline is 22th February 2016. One page abstract template download here (Abstract Template). Full papers for the conference proceedings are expected to be written in English following the format given in the template, available below. The deadline for full paper submission is 31st May 2016. Each contributed paper must be sent to isntp10@contato.ufsc.br both as a (.doc/.docx) file and its corresponding (.pdf) file. This template is the final format of the paper to be also considered for publication in the International Journal of Plasma Environmental Science and Technology (IJPEST). Page limit of the regular papers is up to 6 pages. After the review is completed, the authors must submit the final manuscript using this format. After acceptance of the abstracts, authors are invited to submit a 6 page full paper. The full papers will be in electronic format. Full paper template download here (Full Paper Template) . The full paper submission deadline is 31st May 2016. Invited Lectures will be 40 min (35 + 5 discussion). Oral presentation will be 20 min (15 + 5 discussion). The lecture hall is equipped with a Windows PC. Supported presentation formats are Microsoft Power Point and PDF. Please be prepared to have your presentation ready on a portable USB-stick (pen drive). If you prefer to use your own computer, please inform in advance the conference staff. Poster size: The posting boards are 140 cm (width) x 100 cm (height). Within these limits, Authors are free to choose their poster size and format. You will find your poster number attached to the poster wall. The poster should be posted in the day of the presentation and must be removed the day before the following poster session. Values in (*) are for authors and session organizers. Accompanying Persons: $US 170 for Monday lunch, welcome dinner + excursion + gala dinner. Note that all lunches and dinners except Monday lunch, the welcome and gala dinners will be left to the charge of the participants. Florianopolis city is the capital of the Santa Catarina State, located on the Santa Catarina Island in South-Eastern Brazil; its population is about four hundred thousand inhabitants. Around the island there are many beautiful beaches and fishing villages, each of them with distinct personality offering excellent hospitality and sea food, it also has natural reserves, lagoons, sand dunes and much more. Further information. All scientific activities will be take place at the “Slaviero Essential Florianópolis Ingleses Acquamar” in Florianopolis, Ingleses beach, Rua das Gaivotas, 1114. Breakfast included on reservation price. Callers must identify themselves as being with ISNTP-10 in order to qualify for group rate. Secretariat Office Address: Chemistry Department, Federal University of Santa Catarina, UFSC, Trindade, Florianopolis, SC, Brazil, CEP 88040-900.